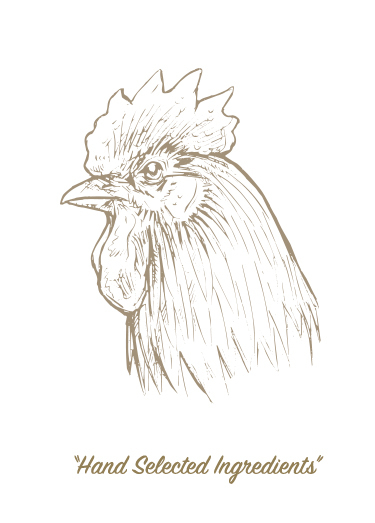 Salsa El Gallo is an authentic Mexican salsa made from traditional recipes like the ones used in Mexican kitchens. Our salsa was born from our own love of salsa. We were seeking a non-commercialized salsa with a homemade appeal. When we couldn’t find one on the shelves, we decided to make our own- South Texas style. What makes it different? 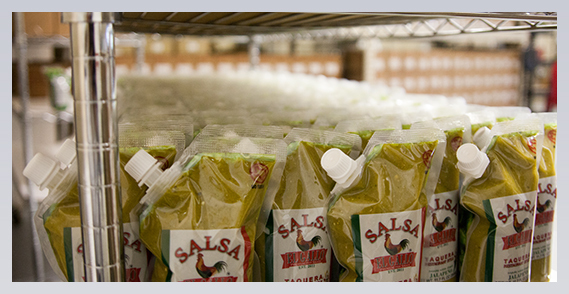 Our salsa is unique because of the steps we take to prepare our fresh ingredients. We do not use canned paste, flavoring additives, food coloring, vinegar, nor do we water-down our salsa. The reality is that the majority of every salsa you’ve purchased is simply canned ingredients mixed together and called “salsa”. We don’t throw ingredients into a blender and walk away! Instead we hand select our ingredients and roast our peppers in a custom-built 60 gallon stainless steel fire pit. Fabricating our roaster was no small feat, but it results in a unique, natural smoky flavor that’s infused throughout. Real Texans go out of their way to get their hands on Salsa El Gallo. Salsa El Gallo comes in four varieties. We have the authentic Homestyle Fire-Roasted Red Jalapeno Salsa. This salsa is a perfectly balanced mid-level heat that packs an amazing flavorful punch. It is ideal to add to your meal as a final touch of flavor or it can even be used as cooking base when preparing a meal. 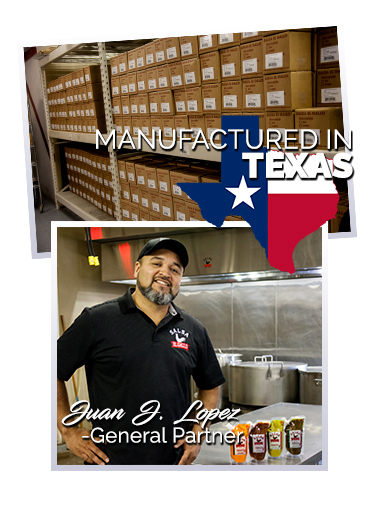 Give us a try next time you are preparing a dish or having a Texas BBQ and want to add an authentic South Texas style twist to your meal. You’ll be glad you did! Salsa El Gallo Homestyle also comes in Fire-Roasted Green Jalapeno Salsa. This salsa is a perfectly balanced mid-level heat that hits your taste buds just right. It’s an essential topping for your meal. If you’re looking for a new “secret ingredient”, add this salsa as a cooking base! 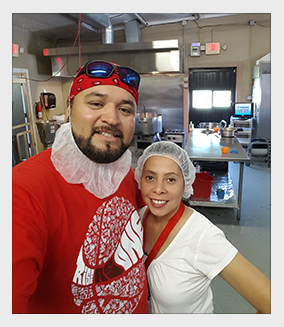 Give us a try next time you are preparing a dish or having friends over and want to add authentic South Texas style flavor. We also have the creamy orange Habanero Restaurant Style Salsa. This salsa boasts a hot-level heat that packs a flavorful punch to those who prefer extra spice. Pour on this rich salsa to brighten up your plate and infuse it with flavor. Take this salsa to your next tailgate or backyard BBQ. It’s sure to be a crowd pleaser! Salsa El Gallo also comes in a Green Jalapeno Restaurant Style Salsa. This salsa is a hot-level heat that will awaken your taste buds. This salsa pours out smoothly over your meal and enhances it with loads of flavor. The Green Jalapeno Restaurant Style Salsa is a favorite to add to fajita or chicken tacos. You’ll soon find out, you’ve got to have it!